Months have passed since the end of big names in manga and anime such as Naruto, Bleach, and Fairy Tail. Still, the anime industry continues and thrives to find the next big names. Tons of new anime series appear each year, each season. This Anime Fall 2017 season is also no exception. There are also tons of new series coming up next and we are all excited to see what they have in store for us. But the question is: which anime are most anticipated this Anime Fall 2017 season? Let’s find out! *Note: This list only includes anime series, which mean movies, OVA, and other Special won’t be included. Also, the listed anime series are put randomly, so therefore no anime series here is necessarily more popular or anticipated than the others. ***SPOILERS ALERT: There would be some minor spoilers about the story so stay aware if you don’t want spoilers. Shokugeki no Soma was originally a manga series serialized on Jump Comics by Shueisha since 2012. 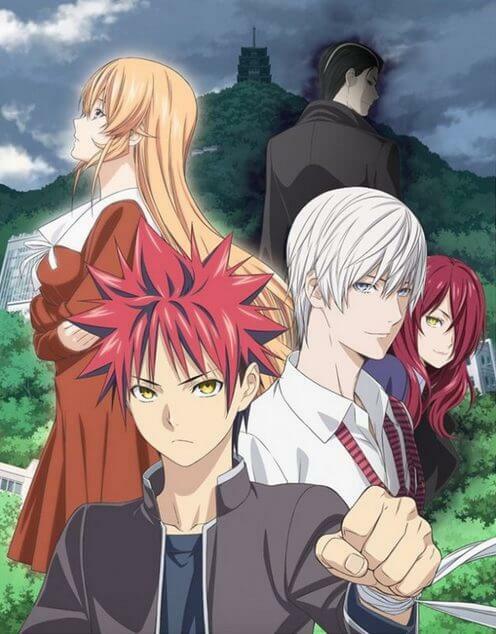 The first Shokugeki no Soma anime season (or also known as Food Wars! Shokugeki no Soma) was made by J.C.Staff Studio and aired in 2015, followed by the second season: Shokugeki no Soma Ni no Sara (or Shokugeki no Soma the Second Plate) in 2016. For those who haven’t watched the series, Shokugeki no Soma’s story is around the main character Soma Yukihira who wants to surpass and succeed his father as a great cook. After his secondary school graduation, he was sent to an elite culinary school where only 1% of students can graduate. And so Soma’s exciting school life begins with exciting experience and “food battles” with other outstanding students. The exciting third season of Shokugeki no Souma will continue in this Fall 2017. The story of this season is expected to follow the current arc of original manga series, which begins after the Autumn Election. In this next arc, Erina’s father returns and takes over the school from the headmaster. However, many students, including Soma and his friends, oppose to his rule and ideology. 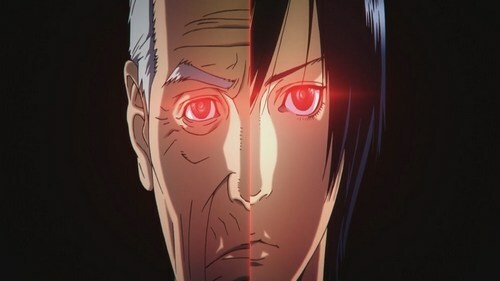 Thus a “war” begins which will decide the faith of Tootsuki forever. 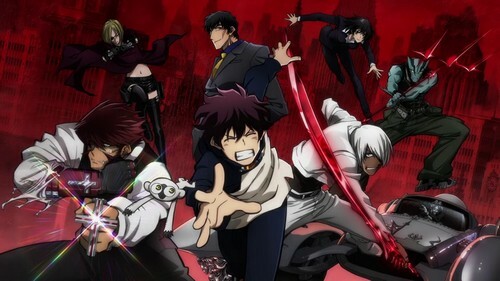 Kekkai Sensen & Beyond is the second season of Kekkai Sensen (also known as Blood Blockade Battlefront) in 2015. Despite a few flaws, the series received quite good responses and positive reviews. The original Kekkai Sensen tells a story of chaotic New York where a portal between Earth and the Beyond (or Netherworld) is opened, allowing creatures from the Beyond to get into the Earth. Although the New York City was rebuilt, now called as Hellsalem’s Lot, it was trapped and filled with all sort of unknown creatures. The main character, Leonardo Watch, received “The All-Seeing Eyes of the Gods”. He starts to venture to Hellsalem’s Lot to uncover the secret behind his newfound power. Along with his newfound friends (and also… weird), Leo starts to discover what faith lies ahead of him, and so too the world. At first, Kekkai Sensen didn’t receive much good response due to the chaotic and unexplained events. But gradually the story gets better and better, especially the characters cast and how they develop throughout the series. The visual, music, and voice dub, all are excellent delivered in great harmony. On the other hand, Kekkai Sensen is a pretty long journey, which can be tiring for many viewers. And also despite the great cast, sadly not all characters are well developed or explained. But in the end, Kekkai Sensen is a great series and there is lots of goodness we can expect from the next season. Magical world is incredible and it seems to never get bored (of course, it still depends on the story itself). In this case, Black Clover did a really great job in delivering a new world with traditional Jump-Comics-style characters, yet still attractive. 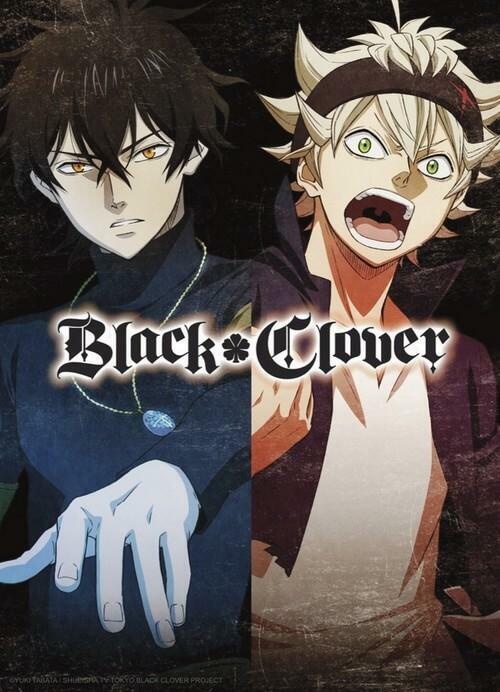 Black Clover is originally an ongoing manga series serialized on Jump Comics since 2015. It tells the story of two orphan boys: Asta and Yuno in a magical world where everyone has Magical Power. Yuno is a prodigy in magic, while Asta is born with absolutely no Magical Power. The two friends share a dream of becoming the strongest wizard of all: Wizard Emperor. At the day when young wizards get their first Grimoires, Yuno got a 4-leaf clover grimoire – a symbol of prodigy while Asta got none. Surprisingly, when Yuno got threatened, Asta received a Black Clover grimoire which grants Asta the blade with anti-magic property. And so the two friends join the rank of Wizard Knights, they start to explore the world and fight for their dream. Based on the manga story alone, Black Clover is indeed an exciting series and there is much to be expected from this new series. Back to 2005 when the famous game Idolmaster first came out in Japan, then the release of Love Live! in 2010, it was like a huge blast within Japanese community. And ever since, this idols trend has gained tremendous popularity in Japan. After the success of original Love Live, a spin off Love Live Sunshine was released 2015, featuring a new cast but still keeping the similar motive story like Love Live. In general, Love Live Sunshine didn’t receive much positive responses in term of story since it’s pretty similar to the original Love Live. However, what shine best about Love Live Sunshine are the lovable characters, excellent animation, and music. As the results, Love Live Sunshine is a pretty entertaining anime and pleasant to watch. 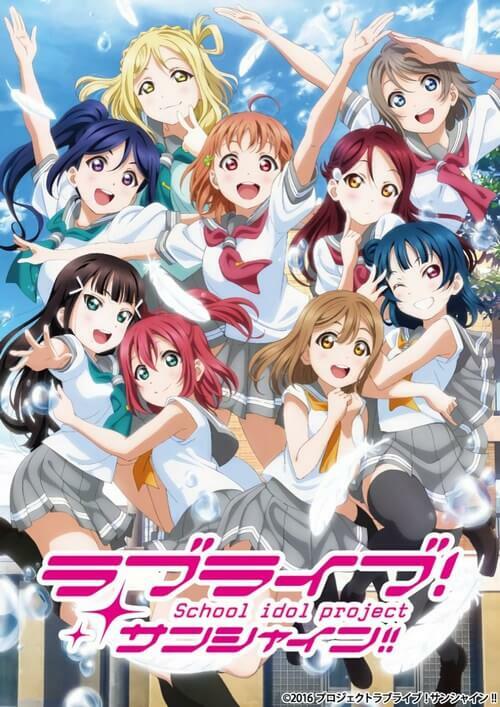 So if you are a fan of idols anime, stay tune for the Love Live Sunshine S2! 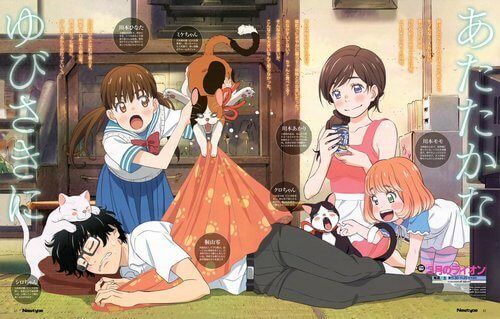 3-gatsu no Lion (or also known as March Comes in like a Lion) is an anime adaptation of an ongoing manga series with the same name. It’s about the story of a talented shogi player named Rei Kiriyama. Though he’s still 17, he is one of the few shogi elites in the world. That said; his successful career comes with a price as he has to constantly deal with loneliness and his complex personality. Until one faithful day, he meets Akari, Hinata, and Momo Kawamoto, a trio sister. Since then, the three sisters start to help Rei, while he starts his journey of understanding himself and interacting with other people. Although the series does say about shogi, its main focus is actually about the development of Rei Kiriyama and his mental side. This psychological aspect is always somewhat attractive to many viewers. And the story of Rei, though is quite a heavy topic, is really interesting to watch. And to some extent, the anime did quite a good job at delivering the essence the original manga series. However, it still receives a number of controversial opinions: some consider it to do quite a good job in adapting the story, while others think it loses the true feeling of original manga series. But in the end, despite all those different ideas, 3-gatsu no Lion 2nd Season is still worth to hope for. Unlike many series featured in this list, Kino’s Journey the Beautiful World or Kino no Tabi the Beautiful World (often called as Kino’s Journey or Kino no Tabi for short) is an anime adaptation of an old light novel series started in 2000. 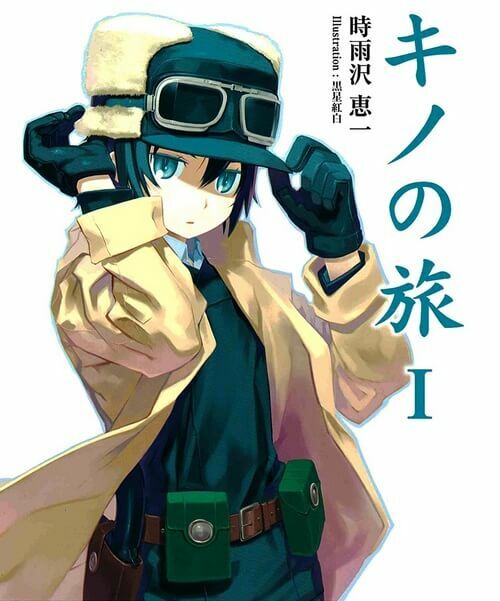 Kino’s Journey actually has quite a number of works, including a 13-episode anime adaptation in 2003 in Japan, a second season in 2005, 2 visual novels on PlayStation 2, and other merchandise. In 2017, a new manga adaptation has already been released, and this time we will get to see a remade Kino’s Journey anime in this Anime Fall 2017 season. The original Kino’s Journey was about a girl named Kino who went on a journey with her “talking motorbike” Hermes. Together, they traveled and learned about the world, about themselves, and other meanings of life. In overall, Kino’s Journey’s story is extremely exciting and it received lots of praises. With this new anime series, we can hope for a faithful return of Kino, her trusty bike Hermes, and her memorable lifetime story. Talking about Hiroya Oku, we have to mention the famous manga series Gantz. But do you know that Hiroya has another excellent piece? Yes, you guess it right, it’s Inuyashiki. Inuyashiki manga begins in 2012 and it has just ended on July 2017. Its anime adaptation is expected to release this Fall 2017. Inuyashiki tells the story of an old man named Inuyashiki Ichiro. Though he is a friendly and kind man, he doesn’t have friends and his family doesn’t give him proper care. One day, he was struck by a strange meteor. But the weird thing is he still lived, not with a human body but rather, an alien robotic body. And so he struggled to find his own life meaning while trying to control this new body… But what will happen if there is another person who has the same situation as him? In general, Inuyashiki may not be too outstanding compared to Gantz. However, the manga series still did a great job in story, characters, and tension. So if you are a fan of Gantz, or a sci-fi enthusiast, Inuyashiki definitely should not be missed. 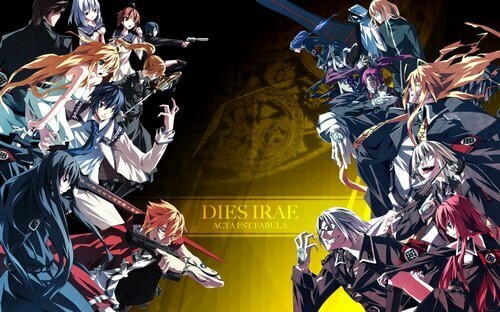 Right of the bat, the title Dies Irae already gives a strong feeling due to its meaning. In reality, “dies irae” is a Latin hymn dated back to 13th century which means “Day of Wrath”. So how it refers to this new series? Based on this brief story and the title’s meaning, we can guess this anime will focus on world apocalyptic theme. This theme is not something new, yet with the interesting title and quite a good intro, let’s wait and see what Dies Irae will bring to us. Well, the talented, yet lazy sister of Taihei Doma and her friends will return once again in this new season 2 called Himouto! Umaru-chan R. What story will be featured this time? We have yet to know. But is it worth to follow Umaru-chan season 2? Yes… well it depends. Before we make any judgment, Himouto! Umaru-chan is a comedy series and to some extent, it’s good at that. The story is about a talented high school girl named Umaru. She is pretty (well, it’s true, Umaru looks beautiful in her “school form”) and good at all subjects at school. But when she’s at home, turns out she is like a lazy girl who just likes to play video game and causes trouble to her older brother Taihei. And of course, the series focus on her life with her older brother, and her school life and making new friends. This anime series also seems to have different opinions and reviews. Many people believe the anime has done a great job in delivering relaxing and entertaining jokes. On the other hand, many others don’t rate Himouto! Umaru-chan highly, mostly due to the repetitive jokes. Still, if we use the grading system of 10 then this series is likely to be about 7 points. 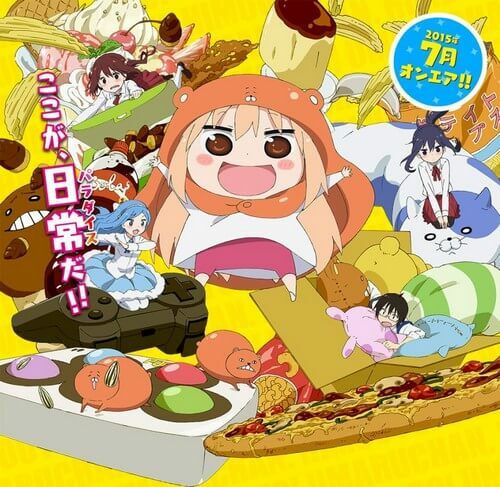 That’s not bad and if you like Umaru-chan, why not wait for this next season? Finally on this list, we have Gintama Shinsaku which is Gintama season 6. 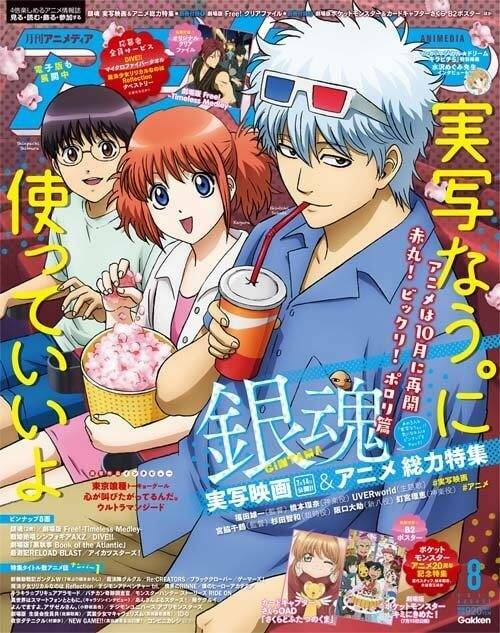 Again, we continue the story of Gintama along with his Yorozuya comrades: Shimura Shinpachi, Kagura, and Sadaharu. Gintama series is a big name and it seems there is no need to explain more about the series. The season 6 will be the follow-up of the previous Rakuyou Decisive Battle Arc. Based on the manga, this season 6 will be about the Silver Soul Arc which focuses on the battle of Gintama and his Earth fellows against the immortal Utsuro; ultimately destroy Utsuro’s ominous plan. The Silver Soul Arc is expected to have more serious moments than the last season. And of course Gintama’s tradition: the dirty jokes will still come back. This season 6 may be a long journey and high chance it will mark the end of our beloved Gintama. So get on board as we will follow Gintama and his friends in this next season! And that’s it folk! Those are the top 10 most anticipated anime Fall 2017. And if you have any other ideas, let’s share with us! Thank you and stay tune for more news in the future!